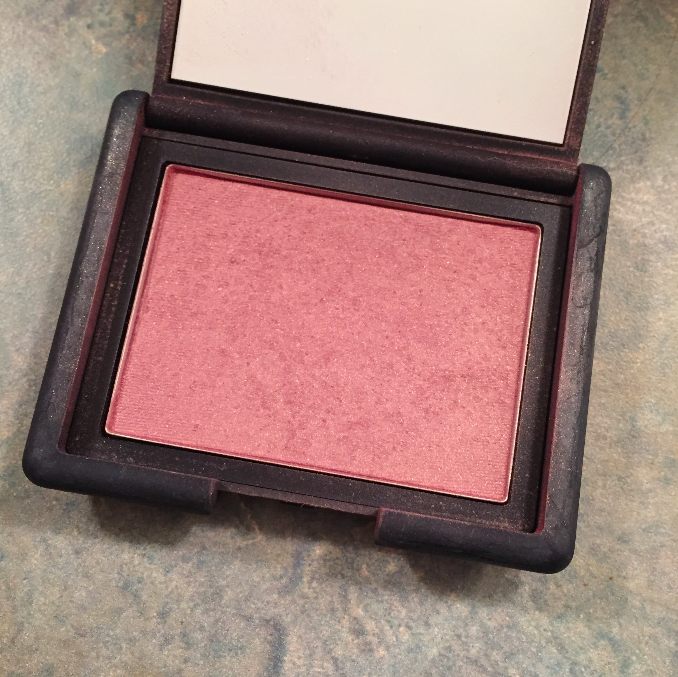 I've definitely talked about this blush dozens of times on my blog, but it's about that time of year where I break it out of the back of my blush drawer and start using it religiously again. It's the perfect shade for fall, pretty much the only one I use in circulation with NYX Terracotta. Its the most perfect plum shade, which sounds odd for a blush, but I promise, it works. It's not entirely matte, with a few little shimmers that barely transfer to your skin. It just gives a nice deeper color to your cheeks, but one that's not entirely unnatural looking where people are questioning why you have purple on your face. It's just a really lovely color for your cheeks for the fall and the NARS blushes are some of my all time favorites. I love distressed jeans so much. 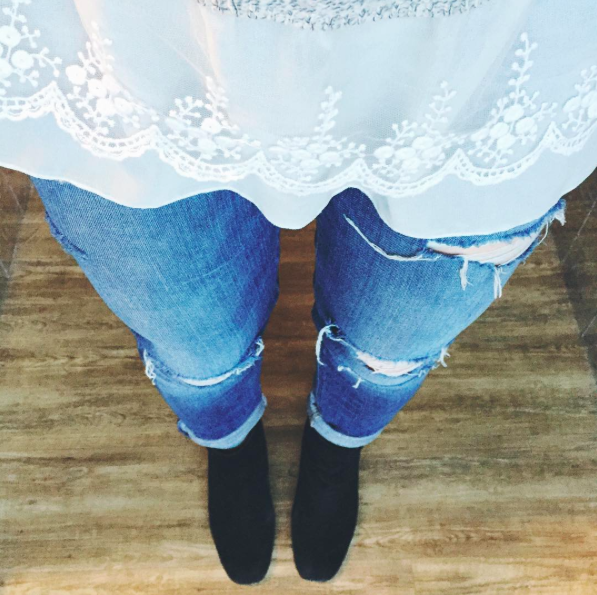 I pretty much want all of my denim to have rips and holes up and down the leg. My newest edition that weren't a DIY pair are from the store I work at and they're by the brand Joe's Jeans. They're a bit long on me, so I do have to cuff them, but I kind of dig the cuffed hem with the somewhat dramatic distressing on the jeans. They're uber comfortable, have a lot of stretch, and I actually kind of like that they're not super high-waisted. Granted, I do prefer high-waisted jeans over anything else, but I like the relaxed feel this pair has! I've obviously heard Zara's voice in the smash it "Never Forget You," but little did I know that she had an arsenal of other catchy and incredible tunes. Her BBC Radio 1 Live Lounge performance came up in my suggested videos on Youtube earlier this week and I've been obsessed ever since. I have both of them linked, but honestly, go do yourself a favor and head to her page on Spotify or Apple Music or whatever you use to listen to music and just give it all a listen. She's incredible and she's only like, 18? Like? When I was 18 I could barely do laundry and she's out here singing her heart out. I hate him so much. I hate him. I don't even have the time nor the energy to get into this in detail, so just look up his photoshoot and interview for Another Man magazine and you'll see why I hate him so much. So yeah, 0 out of 10, would not recommend.